My friends and fellow readers - Today - Monday, March 29th, is our first brew day. I sit here, at 3:30am, drinking a draft Sixpoint Bengali Tiger with Dan Suarez, following a very long day of brewery preparation (including an excursion to the Alchemist to introduce Dan to Vermont's Finest...) Tomorrow we will brew an India Pale Ale... our inaugural ale, so to speak. Thank you, everyone, that has supported me on this journey - emotionally, spiritually, financially.... It is difficult to believe that "the Day" is finally here... Let's hope for a great fermentation and to many, many more flawless brew days. Pictures soon to follow! 3 batches of beers in the fermenters. Cheers my friends - here is to a successful future! Good evening folks. I'm finally resting here, Founders Kentucky Breakfast Stout before me, wood fire burning alongside, and trying to manage the multitude of information before me. Stacks of bills and catalogs, books and notes (I'm making 'to-do' lists out of 'to-do' lists...), and hundreds of photos, designs, videos, and choices to make. As the inaugural brew at any brewery should be a day of mild stress and relative excitement, I thought it best to attempt and share some of the moments, video, and photos from the first four beers and the last few weeks. Piecing it all together, it grows ever more clear that Hill Farmstead Brewery is genuinely held together by the friendships and relationships, love and optimism, of every individual that comes into contact with the project. For example, without Mike, Darren, and Jim, this project never could have happened. Also, without Mikkel, Jeppe, Brodrick, Jens, Anders/Marie, Kim, Peter, Alex and so many other believers - we never would have found our footing to build this foundation. Of the four brew days that we've had thus far, none has been in solitude - Darren (my brother) and Ben (a best friend from my high school days) have been present to assist every day - while my parents drop by to say hello. My neighbor Jim (who plumbed my entire cooling and water system) hasn't missed a chance to observe the process - but, we've also been greeted by many guests and gifts. For example, a box of beer happened to have arrived from Utah on the very morning of my first brew day... planned, as it were, perfectly, by the sender. 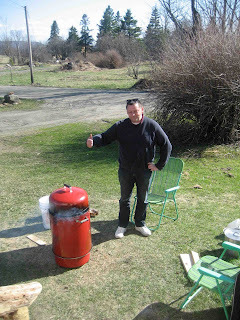 Mike Ingrassia, who will help sell our beers in the Phiadelphia area, visited last weekend and helped us smoke malt and relax for a few moments; Anders Kissmeyer (my great friend and former boss in Denmark) has been here for the last 5 days; Paul Sayler (American Flatbread Burlington Hearth) came out to help us brew the Smoked Baltic Porter yesterday; Dan Suarez, who happens to be a brewer at Sixpoint Brewery in Brooklyn, visited us for several days during the planning of our first brew. And the visits, and friendships and support, haven't stopped. Mitch Steele is coming through, while researching for he and Steve Wagner's "IPA book" and we're discussing an unofficial Black IPA collaboration. In Denmark, Ryan is hammering out the details of a Cigar City collaboration while we also finalize the details of a special Grassroots/Mikkeller collab for the Italian beer market. Our Grassroots Citra IPA and Double IPA will hit Copenhagen and Italy within the coming weeks. 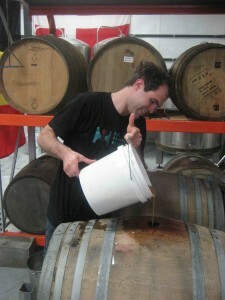 I'm also working on the details of the sour barrel project with Chad Yakobson (http://brettanomyces.wordpress.com/) and should begin brewing the first of that release series by next weekend. Glass companies (Thanks to Lorri of Saxco and Richard from United) are pooling incredible efforts. Søren Varming (Punktum Designs in Copenhagen: http://www.punktumdesign.dk/) has finished up the label and logo design - which we will unveil in the coming days - and Alex has manipulated it all into keg collars, t-shirts, and glassware designs. HoldFast Designs (http://www.facebook.com/pages/Hardwick-VT/Hold-Fast-Designs/122147006763) should have our shirts available within the coming weeks. Sigh. Endless, isn't it? The Bird's Eye Maple Smoked Baltic Porter (smoked with our very own maple - courtesy of Darren) is fermenting away - happy lager yeast loving the sugary wort. 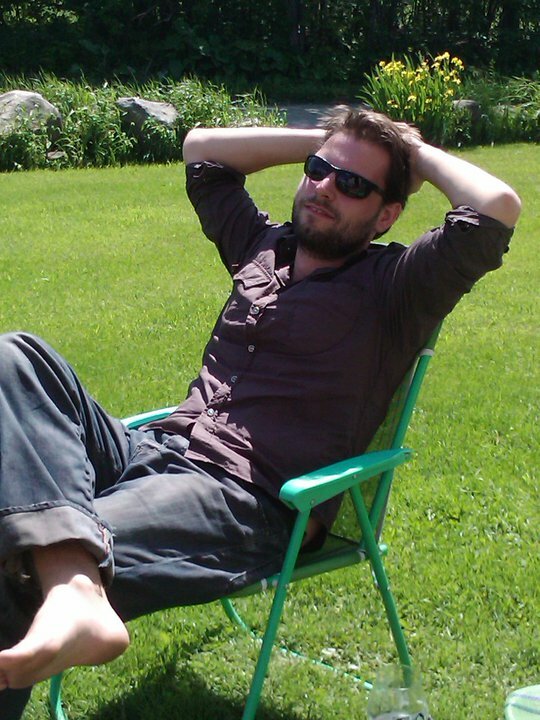 Anders has just left me, returning to Boston, probably wreaking of maple smoke, where he will find a flight home to DK on Sunday. No doubt he is still flying high from our gold and silver medal wins in the World Beer Cup. Amazing, really. To have crafted the best American style Imperial Stout and American Style Barleywine (both aged in Niepoort barrels )- in the same competition? When was the last time that this happened at a beer competition? When I realized the project that would come to be known as SEVEN - the goal was to pool together the best 'dark beer' brewers in DK and craft the perfect Russian Imperial Stout. 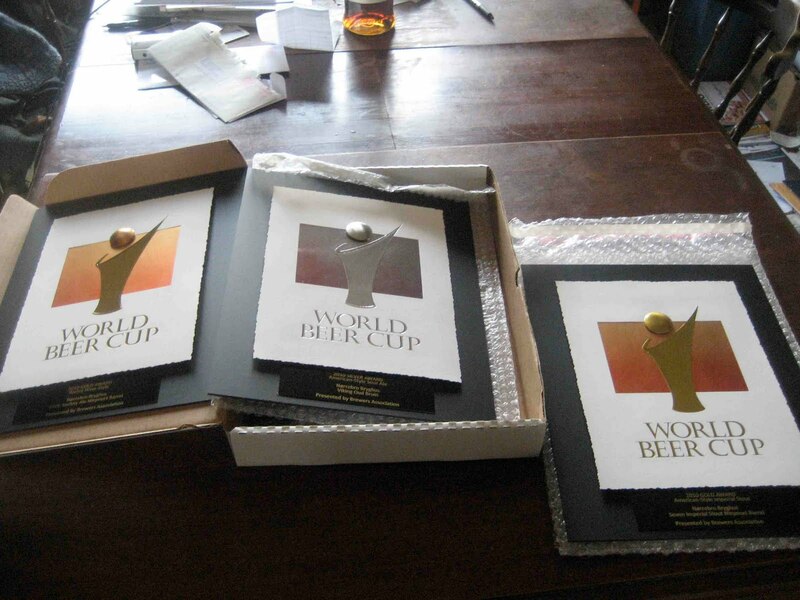 Imagine that... and a Silver medal for the Viking Oud Bruin in the American Sour Ale category? 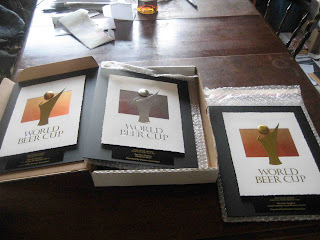 Again, this is all so elating and unreal - that the barrel aged series of beers that I crafted while in Denmark would take 3 medals in the largest beer competition in the world. Kissmeyer and I raised our glasses several times in disbelief... Wow. Street credit, I reckon... and not such bad timing, either - just one week before releasing the first beer from Hill Farmstead. The first batch of IPA will hit the streets of Vermont on April 20th (yes, 4/20!) - I highly encourage you to seek it out at better beer establishments. I'm very happy with the first batch produced from this brewhouse - soft, elegant, rounded - the result of our well's water and a great hop profile and yeast strain. It's 5.5% abv and hovering in the 85 ibu range. Draft only for now - Edward India Pale Ale (in honor of my grandfather) is our flagship and likely to be our only true year round beer. The Imperial India Pale Ale will be released and will likely debut, in triple dry hopped fashion (twice in the fermenter, once in the cask) at the Three Penny Taproom's Montbeerlier, first anniversary event (http://www.threepennytaproom.com/blog/?p=223). 8% abv, 170 theoretical ibus - Abner Imperial India Pale Ale (in honor of my great grandfather) will only be produced, in very limited quantities, several times a year. Frankly, the massive amounts of hops used to produce this beer (in the range of 70 pounds worth of hops for a 220 gallon batch of beer) prove difficult during clean up. I can only imagine what the brewhouse will look like after crafting Ephraim Imperial India Pale Ale (a triple ipa brewed in honor of my great great grandfather)... 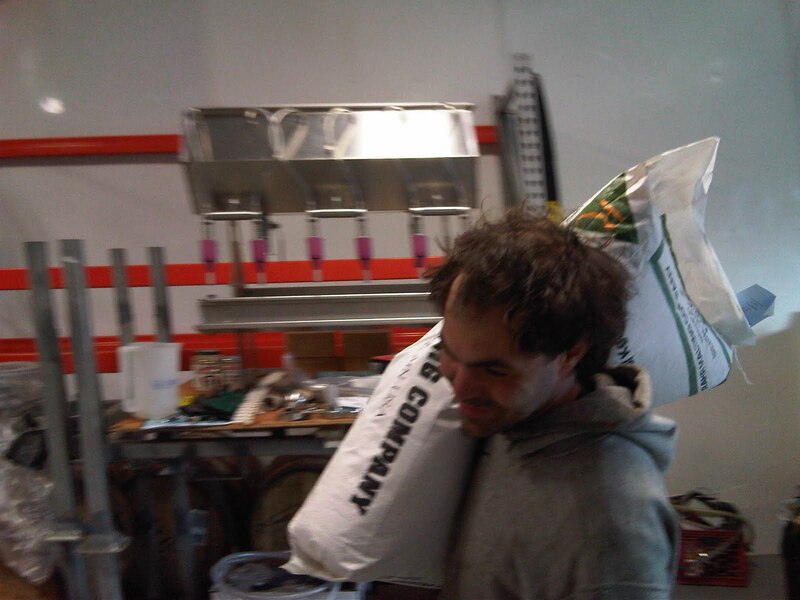 Anyway, check out Abner around the first week of May or come and fill up a growler at our brewery. The retail shop opens on May 1st and, karma-willing, we'll have growlers to fill with both Edward and Abner... along with glassware and t-shirts. May 29: Our grand opening. Please email me for details. Camping is available but please email ahead - it would be great to have a general idea of how many people will be attending/staying throughout the evening/morning. This is shaping up to be several times larger than the Backwoods Brewdown... Deep Breath. Hope we have enough beer, t-shirts, and glassware for the event. Shaun(at)HillFarmstead.Com or call 802 533 7450. June 4/5: Philly Beer Week. Jeff Norman has invited us back to Kennett Square (after 2 epic years of participating in the Kennett Square Beer Festival and debuting beers like Annika and Hell Spawn...) and we'll be hosting a special event on Friday Night at the Kennett Flash (http://www.historickennettsquare.com/beers-on-broad.html). At my request, this will be catered by one of my favorite food establishments, Talula's Table. On Saturday, we'll be participating in the Festival itself - bringing along the usual family members, Edward and Abner, as well as Arthur (my grandfather's brother) Farmhouse Saison, and, all too likely, either an early preview of the Smoked Baltic Porter or our Black IPA... or maybe neither... or maybe Both... ? Hmm. June 18/19: BeerAdvocate's American Craft Beer Festival. 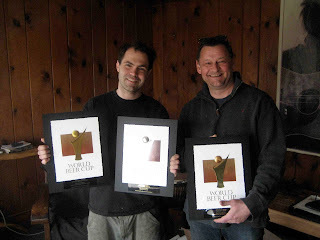 If the Alstrom Brothers invite us down to Boston (http://beeradvocate.com/acbf/) , we'll be pouring beers for the weekend and likely doing something special at either Deep Ellum or the Publick House. Goodnight Folks. And thank you for supporting our vision. Another month has passed since my last entry - proving more difficult to find the creative spirit and timing to update everyone with our progress. 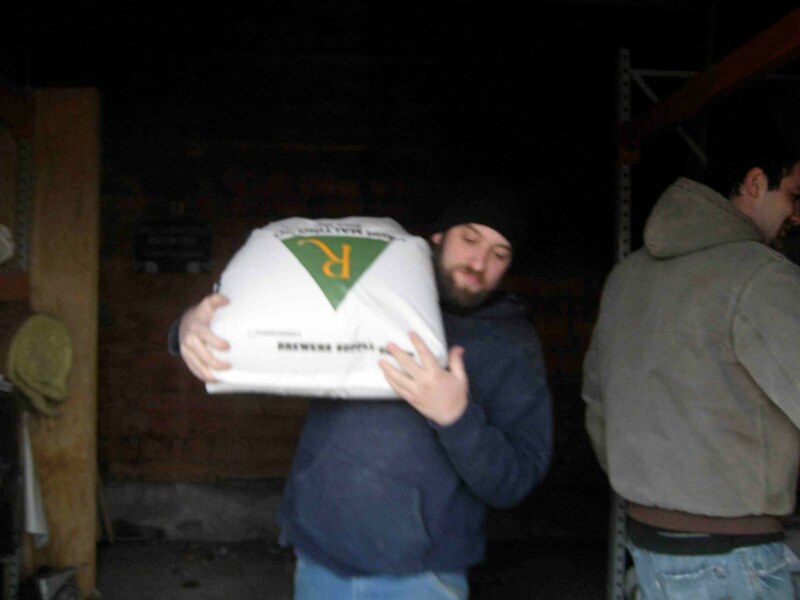 But, with the Grand Opening party just a week away, I have forced myself to write an update and a few words while in the midst of filling kegs and brewing yet another batch of Edward. Counter to a circulating myth, there will *not* be free beer. Only great beer. Very hoppy beer. And much of it. *This is the debut of James, our India Black Ale. Pricing: All beers are 5$ per glass. There will be specials - but it is very much a cash only event. Admission to the event and music is free for your auditory pleasure. Music: Jazz with PJ Davidian, Parker Shper, and two guests. In Brewing News - The barrels are full. Our smoked baltic porter is resting, silently, in wine and bourbon barrels. Growing more delicious by the day (I can attest!). The first batch of Arthur, our Saison, is resting in Pinot Noir barrels with various strains of Brettanomyces - and, one barrel, with 5 kilograms of honey straight into the barrel. New at the Farmstead: Within the coming months, we will be launching a few special beers that will only be available at the brewery, in growler fills. Please check the website for availability. 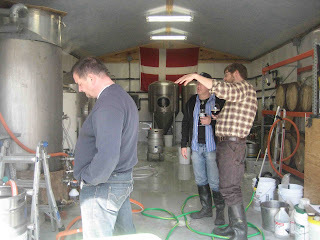 We will also begin selling Grassroots Brewing beers from Denmark, in growlers, here at the brewery. Available nowhere else in the US. Bottle shop is open, too. Featuring beers from Mikkeller, Cantillon, Nøgne ø, Dieu Du Ciel, and various oddities... check often for updates. 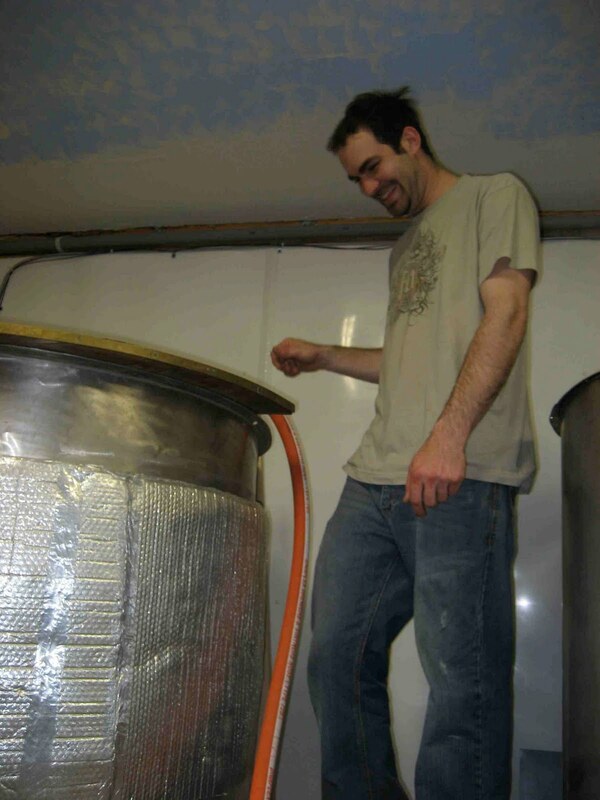 June 4 and 5, 2010: Philly Beer week events in Kennett Square. June 18/19, 2010: BeerAdvocate's American Craft Brewer's Festival, Boston, MA. Early September, 2010: Potential Beer Dinner, here in Greensboro, VT, at the Lakeview Inn, with two my favorite people: Mikkel Bjergsø (Mikkeller!) and James Beard Award winning chef Matt Jennings, of Farmstead/La Laiterie. Still in the planning stages... but expect greatness from all three of us... along with a blend of Nordic and Vermont cuisine. ** If, for some reason, Mikkel cannot entertain these dates, we'll either fly solo with Matt or... 1. 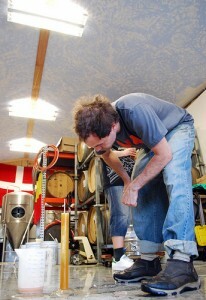 Import Grassroots Beers for their first ever sampling in the US 2. Invite another friend...? A very long over due update - as always! Over the weekend we (which is I) brewed a new wheat saison - made with organic raw wheat from the first certified organic farm in Vermont. This will become a summer release and will morph into another being when the winter months arrive. Speaking of arriving - I will soon be joined by four extra hands at the brewery: A Danish traveler that will be here for 6 weeks and, on a more long term basis (I hope), Owen - who has been traveling around Europe, himself, for the last year. You will soon learn more about Owen - in the meantime, let's wait until he arrives. Maybe he'll write a few words about his experience here on his own blog...? We'll be participating in a beer dinner at the Round Barn in in Waitsfield on July 9th. Check out the new section of my website titled "upcoming special events" for...well... information on upcoming special events! Philly Beer Week was a whirlwind weekend. We spent most of our time (Mike and I) in Kennet - with a special event at the Kennett Flash and then serving beers at the Beers on Broad Festival the following day. Personally, I spent 12 continuous hours "on the town" (as I like to call it, innocently) on Saturday evening - culminating in a 7am departure from Monks Cafe. Hoping Tom Peters will soon visit the Farmstead and hang around so that I can return the favor. We'll likely participate, somehow, in the Kennett Square Beer Festival this fall, as well. However, as it is the same day as our Fresh Hop Festival - we'll have to send beer to Philadelphia in order that it be served by our close friends... and, fittingly, we'll be sending some beer to Philadelphia (Bella Vista Distribution) in the coming weeks. Likely to be kegs of Edward with a few samples of our Saison Wit, Porter, Harlan, and Sorachi Ace. The retail shop at the brewery is doing exceptionally well. We're nearly sold out of 2L growlers and are hoping that the next shipment will arrive soon. As soon as the the time allows for my freedom, I'll continue working on plans for expanding the retail shop as well as the availability of guest beers and broadening the draft selection. Note that we have changed our hours - we're no longer open Monday and Tuesday (only by appointment) but will remain open Wednesday through Saturday, 12pm to 5pm. 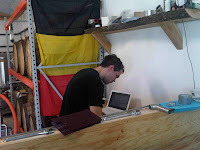 In brewing news... Great friend Christian Skovdal Andersen (Ølfabrikken, Beer Here, BierWerk) was here last week and managed to spend 5 very relaxing days in Greensboro. Together, we crafted a yet to be named beer that will likely become our house porter. 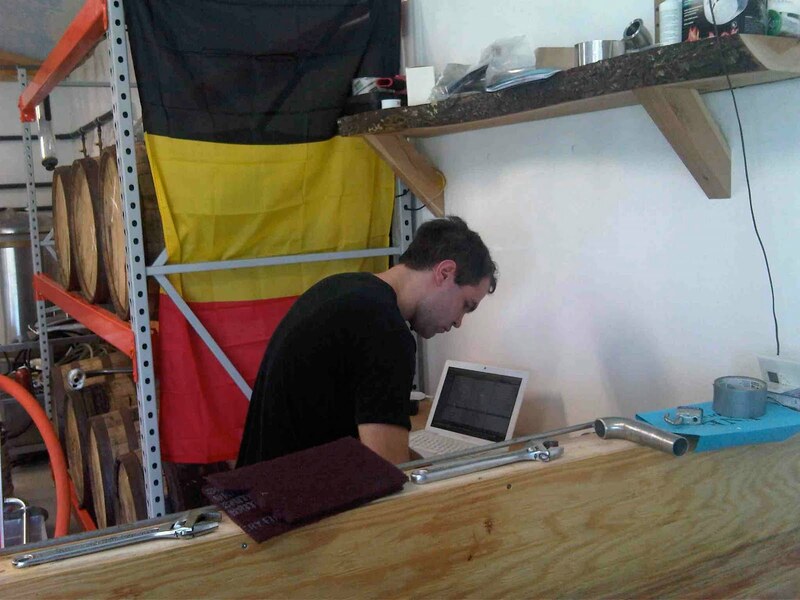 Christian is soon to launch his next project, Bierwerk, in his new home of South Africa. I wish him the best and you can be sure to find some of his bottled beer, when it's available, for sale at our retail shop. 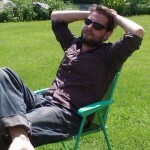 In collaboration news - Ryan will be visiting from DK during the early part of September. Together, we'll brew the Hill Farmstead Holiday Ale (a strong stout or porter) and travel to Tampa, Florida for a few brew days at Cigar City Brewing. The idea is to craft two different black ipas - both of similar backbone but with slightly different touches... it appears that the two beers will be packaged and sold together. Definitely more to come on this... as it is still young.